A Scottish music resource site celebrating Scottish popular music, jocknroll.co.uk, has voted The Crossing the greatest Scottish album of all time. 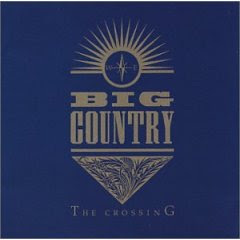 Of Big Country's first studio release, furia.com has this to say: "They made one of the greatest debut albums of all time, a record as musically anthemic as it is emotionally harrowing, with an unmistakable sonic quirk that was as integral to their initial success as it was probably inimical to their critical longevity." "Big Country has no use for synthesizers, and their extraordinary twin-guitar sound should make The Crossing a must-own item for rock die-hards."